A changing of the guard has taken place at Merivale's Sydney CBD mainstay, Establishment, with the dining precinct catapulting chefs Michael Fox, Jacob Davey and Dan Hong into new roles. The new appointments see Fox joining the hospitality group as the head chef for sushi e, Davey leading flagship fine diner est., and Hong overseeing the wider Establishment portfolio as executive chef of the precinct. "When Establishment opened in 2000, it was a ground-breaking hospitality development, introducing Australia to the concept of multiple venues and experiences within the one premises," says Merivale CEO Justin Hemmes. 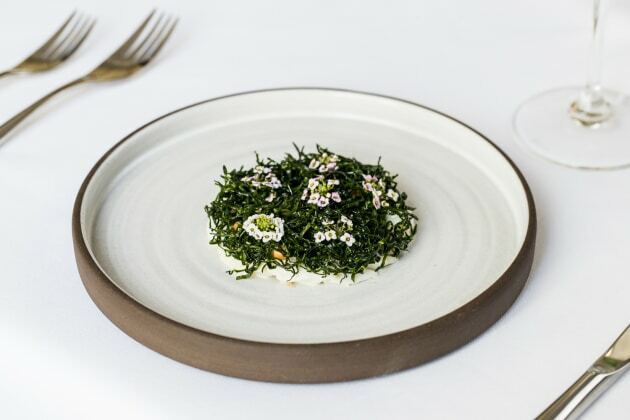 "18 years later, Establishment remains a leading Sydney icon at the forefront of Australia’s dining scene with an inspiring new guard of talent leading the charge." 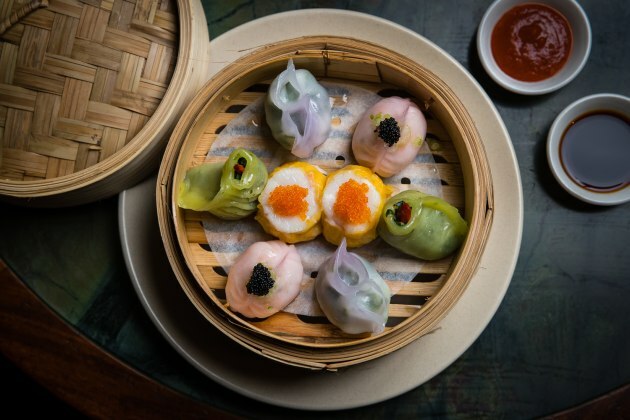 Having worked in France under Raymond Blanc at two Michelin star Le Manoir aux Quat'Saisons, Hong Kong's Carbone, and Melbourne's Vue de Monde, Fox is eager to spearhead sushi e in a new direction. Working with Hong, Fox's new menu for the intimate, Japanese eatery focuses on simplicity, precision and skill. Guests will also be able to enjoy sushi e's namesake sushi and sashimi prepared in front of them. Using largely Australian seafood, highlights include konbu-cured hiramasa kingfish with aged ponzu, shiso and sansho oil; Hokkaido scallop sashimi dressed with the acidity of tosazu, daikon and finger lime; and crispy tempura sand whiting with shiso and lemon served with aonori salt. “We have introduced new flavour profiles and techniques to sushi e. It’s our contemporary interpretation of Japanese food in Australia”, says Fox. After 18 years of leading two-hatted est., Peter Doyle left to direct Merivale’s new apprenticeship program. And so, after working under Doyle for four year, Davey steps into the role with big shoes to fill. In addition to est., Davey has also manned the pans at Chianti (Adelaide), Taxi Dining Room (Melbourne), two Michelin star Pied a Terre (London) and Marque (Sydney), during which time he was named Young Australian Chef of The Year at Electrolux Appetite for Excellence Awards. At the helm of est., Davey he hopes to shine a light on Australian produce, seasonality and multiculturalism. He says, “I have evolved the menu to feature more interesting proteins and I’ll be taking advantage of the ageing process, where it brings an improvement in flavour and texture. The new menu features such dishes as ama ebi prawn tartare with kohlrabi, colatura, chilli, finger lime and nasturtiu; potato agnolotti, guanciale, braised onion, cured egg and smoked butter; and ‘beef bavette and slow-cooked cheek with radicchio, radish, truffle and rye. For dessert, Davey has crafted such treats as Valrhona chocolate mousse with muscat ice cream, potato, prune, and pumpkin; and raspbery vacherin, buffalo curd, hibiscus, kaffir lime, and raspberry sorbet. Having long steered modern Cantonese restaurant, Mr. Wong, Hong's role within Merivale has expanded as he takes on the position of executive chef of Establishment. Working with the head chefs of Mr. Wong, est., sushi e, Establishment Main Bar and Palmer & Co, his goal is to collaborate with each on their respective menus, and to support and develop their individual creativity and leadership styles. “I want to be known for the success of the chefs under me," Hong says.